Colonel Guy Pulling, keen to unify the various aspects of beekeeping, formed a group in 1954 known as the “Amateur Beekeepers’ Association of N.S.W.” He conducted practical demonstrations at his apiary near his home at Turramurra. Progressively the number of members travelling from the southern suburbs of Sydney was such that it was deemed possible to form a branch in the Sutherland area. Following the distribution of letters and notices displayed in various prominent locations, an inaugural meeting was held on 29 May 1961. Subsequent night meetings were held in numerous venues such as church halls, PCYC etc. with field days being at the apiaries of members. Committee meetings were also at the homes of members. A vintage photo taken of the founder of the Amateur Beekeepers’ Association of N.S.W, Colonel Pulling. Although we are not too sure when this image was captured, it’s likely to be approximately 1954. 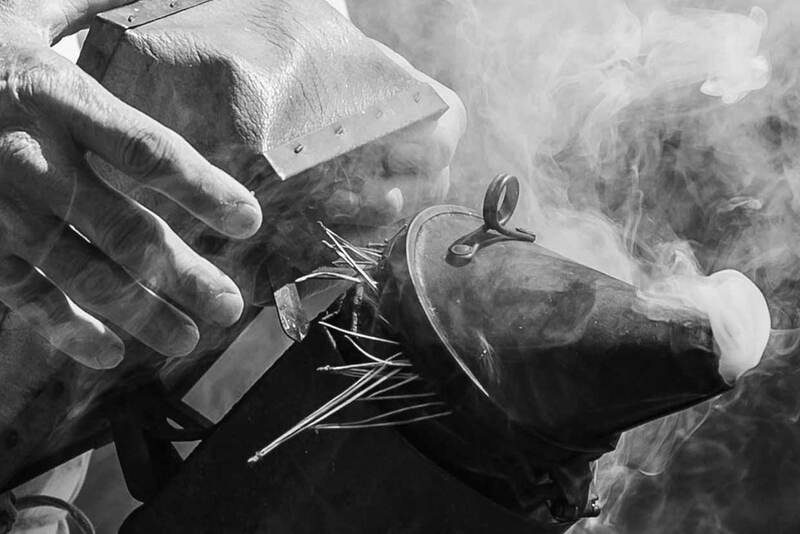 Colonel Pulling is uncapping a frame of honeycomb with an uncapping knife driven by steam. Later on, field days were at the ‘rural’ property of Mr. Delardes at Menai. As this area was being absorbed by residential development a more permanent location was sought. When approached, the Sutherland Shire Council was agreeable to assist and nominated potential sites. The Waratah Park option was chosen and the Association was given stewardship of a substantial area within the cycle track loop. After fencing was erected, the hives were relocated from Menai to the ‘bee garden’. A small brick building was constructed in 1981 to be used as the equipment store and kitchenette for morning teas. This later was embedded in the main building. A pipe framework abutted the building over which water-proof sheeting was attached to provide weather protection when meetings were held outside. Honey extraction was carried out inside a meshed tent. Night meetings were still held in local halls. Principally, under the vision and passion of Jim Jesson, a drive was embarked to have a hexagonal education centre and museum erected. Substantial generous donation from members built up a strong fund but was short of that needed. The branch was successful it obtaining a Bicentennial Grant from Council which allowed the construction to proceed and was opened in December 1988. Later on, the perimeter fence was extended to increase the apiary size and an extraction room was constructed mostly by the efforts of Bob Nicholas. Many members have contributed to the ongoing viability and the exceptional facility that we now benefit. 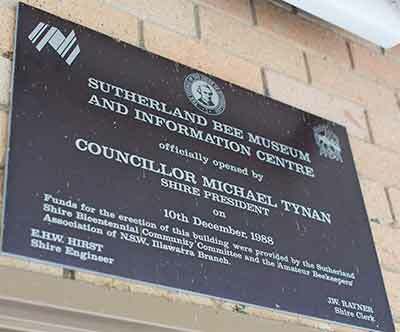 Under the patronage of the Sutherland Shire Council and the Amateur Beekeepers Assoc. 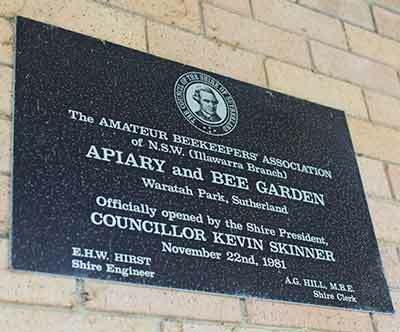 of NSW, the Illawarra Beekeepers apiary and museum as it stands today. We are located in Waratah Park, 98 Eton Street, Sutherland. Image captured 2016.